This syrup packs a real ginger punch, because simply it's made from real ingredients- whole ginger root and organic evaporated cane juice, as opposed to the extracts used in most commercial ginger beer. We painstakingly peel and juice ginger root to give you a spicy ginger kick in classic cocktails like the Moscow Mule and the Penicillin. We put a whole pound of ginger root in every bottle, so you're not paying for sugar water with a little ginger flavor. This concentrate syrup is great mixed with club soda to make homemade ginger beer. We recommend a 1:4 ratio of our ginger syrup to club soda. If you prefer a beverage closer to ginger ale, a 1:6 ratio may be more appropriate (meaning you get 32 ginger beer cocktails out of every bottle). This syrup is shelf stable 12 months. Refrigerate after opening. Will keep refrigerated 6 months. Settling of ingredients is completely normal. Shake before use. Find our Ginger Syrup Cocktail Recipes here. 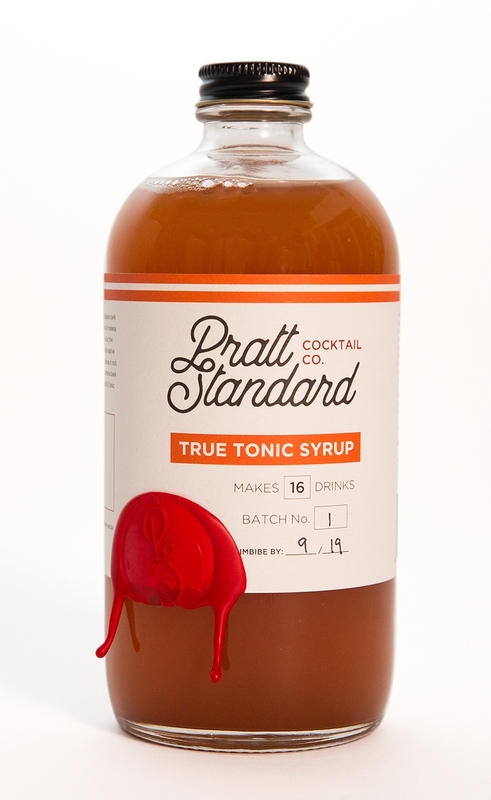 Find our Tonic Syrup Cocktail Recipes Here. Find our Grenadine Syrup Cocktail Recipes Here. Kola nuts were once so treasured that ten was a gift for a king. Our Authentic Kola Syrup is made from real Kola nuts, mixed with vanilla, ginger, and cassia for a sweet cinnamon taste. It’s also a natural source of caffeine. We make kola the old-fashioned way, without corn syrup, dyes or artificial sweeteners. We use demerara sugar for a deep molasses taste, which makes our Kola Syrup a great addition to cocktails and sodas. 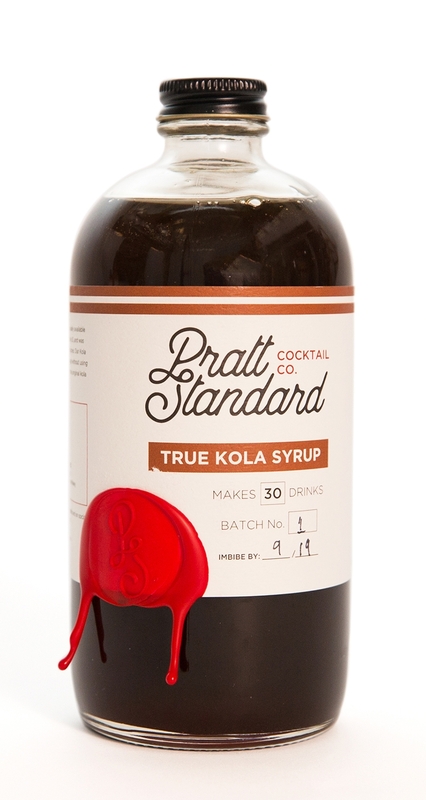 Find our Kola Syrup Cocktail Recipes here. Shelf stable 12 months. Refrigerate after opening. Will keep refrigerated for 12 months. We don't use stabilizers- if this product crystalizes after a few months in the fridge, reheat the bottle in a warm water bath to achieve your desired consistency. Find our Rich Simple Syrup Cocktail Recipes here.